The ZTE lineup really is lighting up. 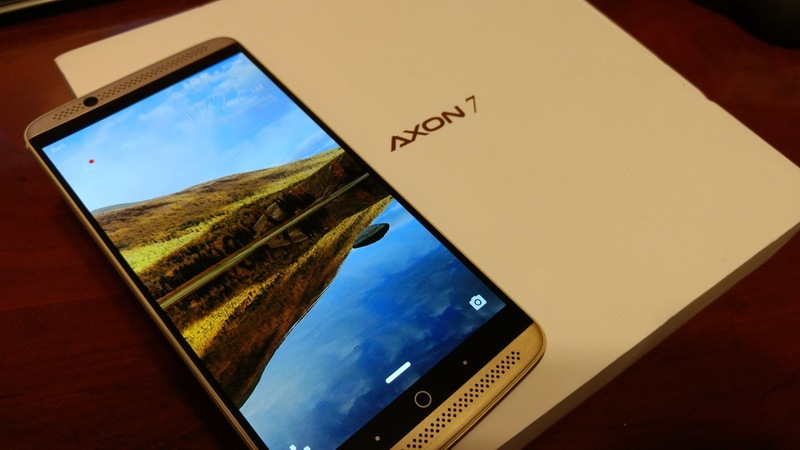 Their latest flagship is the Axon 7, which both Tom and I liked. One of the things I wasn't so much a fan of for the ZTE items was the history of updates. However, the 7 did get a nice OTA, and now it's getting another 7... Android 7. The Axon 7 becomes the most affordable Daydream-ready phone in the U.S.
Richardson, Texas —February 7, 2017—ZTE USA, the fourth largest smartphone supplier in the U.S. and second largest in the no-contract market,* today announced that both Android Nougat and Daydream are available now for its award-winning Axon 7 smartphone. With these updates, the ZTE Axon 7 continues to deliver the best value of any flagship smartphone on the market today. The release of Android N provides Axon 7 users with the ability to personalize the device like never before. With added capabilities at their fingertips such as the ability to run two apps side by side, save battery power while on the go, and express themselves through added emojis, Axon 7 continues to provide a flagship experience at a price that is unbeatable. As one of the first companies to support Daydream, Google’s platform for high quality, mobile virtual reality, the Axon 7 is now Daydream-ready. With its powerful audio and visual capabilities, the Axon 7 provides an immersive VR experience and is the most affordable Daydream-ready phone in the US. Since the Axon 7 launched in the US in July 2016, members of Z-Community have helped provide insight into what consumers want to see updated in the device. For a full list of phone specifications and features visit www.zteusa.com/Axon7.